Join us for Full immersion Spanish Camp through Project Based learning: Nature and Nurture! Our curriculum is designed to maintain children’s interest in Spanish by engaging them in creative and enjoyable activities through a Project Based Learning Nature unit. The daily Spanish lessons are designed to practice speaking, listening, reading and writing. New vocabulary/phrases are reinforced throughout the day’s activities on and off campus. *Rising K-5, $375 per student for both weeks. 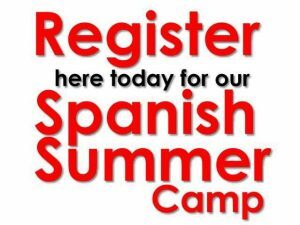 You can download an enrollment form here: Spanish Summer Camp.